Citing violation of security concerns for all users, Apple refuses to help FBI unlock phone of terrorist Syed Farook. 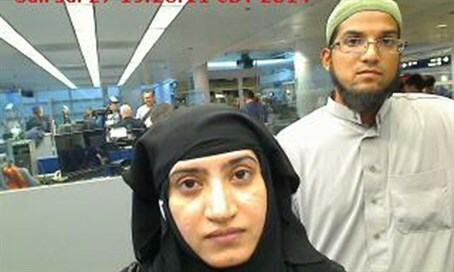 Apple has refused a court order to help FBI investigators unlock the phone of San Bernardino gunman Syed Rizwan Farook. The FBI believes that the phone contains crucial information regarding the case. Tashfeen Malik and her husband, Syed Farook, shot and killed 14 people on December 2, and died hours later in a gun battle with police. The iPhone was recovered from the vehicle in the aftermath of the attack. The ruling from U.S. Magistrate Sheri Pym requires Apple to provide the FBI with software that can disable the security feature that erases data from the iPhone after too many unsuccessful attempts to unlock it. Apple has taken extra precautions since Edward Snowden released numerous leaks regarding US government surveillance techniques, which prevent even its own employees from accessing the data, according to a report that appeared in the BBC. Apple has encrypted data, such as text messages and pictures, on all of the latest apple devices since September 2014. Therefore if a device is locked, only the user’s passcode can access the data. If ten incorrect attempts are made the device will erase all of its data automatically, thereby protecting the user’s privacy and information. The FBI has asked apple to help them circumvent these security protocols so that they can try multiple times to enter a passcode at high speeds without risking the loss of the data on the phone. Apple has stated that the demands set “a dangerous precedent” and one which they are unwilling to comply with. "The FBI wants us to make a new version of the iPhone operating system, circumventing several important security features, and install it on an iPhone recovered during the investigation," said Cook. "The government is asking Apple to hack our own users and undermine decades of security advancements that protect our customers. "Opposing this order is not something we take lightly. We feel we must speak up in the face of what we see as an overreach by the US government." "We have no sympathy for terrorists, we are challenging the FBI's demands with the deepest respect for American democracy and a love of our country."